At Premiere Bail Bonds of Oakland we have been helping clients in custody for over 15 years. Our agents offer some of the most progressive services available to the bail industry today. Some of which include,signature bonds, credit and payment plans, bailout by phone and fax, immigration bail bonds, surety and civil bonds, child custody bonds and more. We accept credit cards, personal checks, cash, money orders, wire transfers and western union. If you have a friend or family member in the Oakland City Jail or anywhere in Alameda County call us 24 hours we will do everything we can to minimize their jail stay. 1-800-662-0056. Many times our clients will call us prior to turning themselves in at a jail or courthouse allowing us to make arrangements to be there at the time of surrender which helps minimize time spent in custody. Meaning, when it is time to turn yourself in call us we will go to the jail with you and post a bail bond for you the moment you are booked. Once booked the usual release time can be less than a few hours depending on how busy the jail is. For people calling from outside the Oakland area we offer a “sign and pay bail” by phone and fax option. We understand that when a person gets arrested it is often at the most inconvenient time. If you have access to a fax or email we may be able to send you the necessary paperwork in order to post bail for your friend or family member. Or if you prefer you can download the forms you need, complete them online and fax them to us at your convenience. Through our network of professional bail bond associates we can assist you with all of your bail bonds needs throughout all of Alameda County, California. Much of our business comes through word of mouth and attorney relationships. We work with several criminal defense attorneys throughout California. Attorneys want the best for their clients that is why they rely on Premiere Bail Bonds. This site is designed to provide you with a variety of bail bond information, links to jails, courts, sheriff’s, inmate records, and confidential bail assistance 24 Hour 7 days. Need bail bonds assistance outside Oakland? If your area is not listed above please call us as it is likely we have an agent there too. Our parent company has over 200 bail bond agents throughout California to serve you. 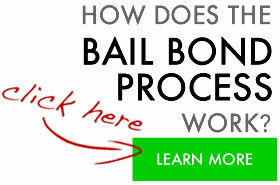 For bail bonds in Oakland, California call toll free 1-800-662-0056.